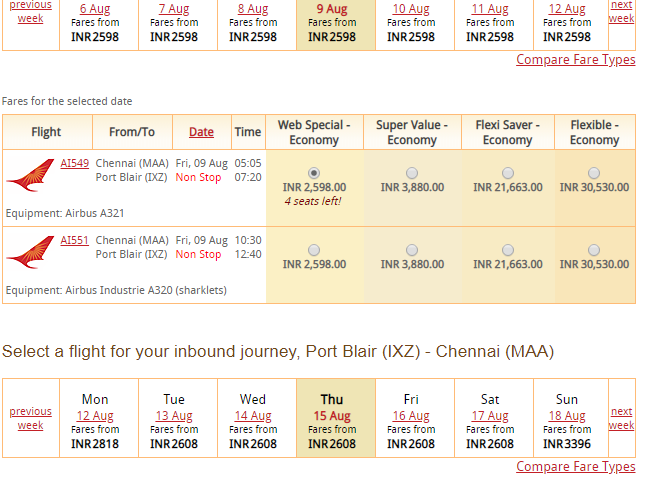 Home / airindia / sale / Air India Chennai Port Blair return for just Rs 5206! 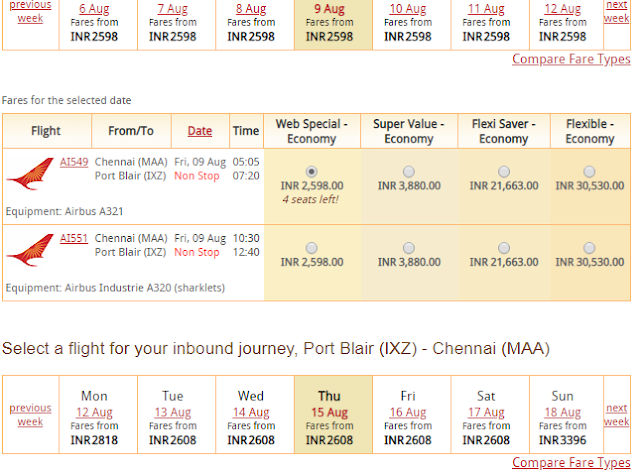 I just spotted a super cheap return fare to Port Blair, Andaman on Air India from Chennai. If you have Andaman plans, book now. 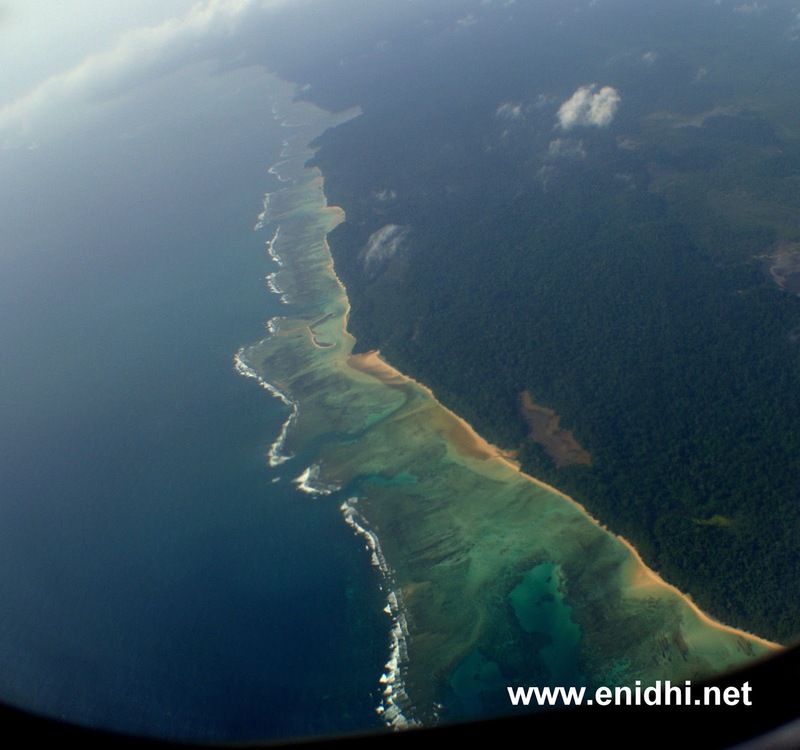 Andaman as seen from window seat! Rs 5206 for a return fare to Andaman is very cheap. Normal peak season fares are usually around 10000 and even during offer I was able to spot only around 7000 INR return fare. This 5206 Rs return fare is comparable to super low fare I had got on Spicejet years ago. This low fare is available on Air India for various dates in June, July, Aug etc- try various date combinations that suit you best. Note that July-August is a possible rainy season in Andaman- but it is not likely to rain cats and dogs all day, every day- on a 5-7 days trip you may lose a day or two due to rain but will still be able to enjoy the trip on rest of the day. Have some indoor plans for rainy day and you should be good.